Calendar 2019 - Inspired Beverage Inc.
Consumer tasting & cocktail event featuring our portfolio of Spirits! It's mid January in New England, let's face it we all need an Island getaway and ONCE Lounge is hosting the perfect event to melt away your winter blues! Join us for an evening of food, drink and music! Price of admission includes a buffet of delicious island inspired appetizers, tastings from Jack's Abby Craft Lagers, Rhum Clément, Bounty Rum and music from Tsunami of Sound with DJ Sets from DJ Easy Ed! Stone Ridge W&S Anniversary tasting & cocktail event featuring selections from the Inspired Beverage portfolio! Consumer tasting featuring Merlet C2 Cafe, Roots Greek Spirits and Cannella Fernet! We will be on-hand to share insights on all things bourbon and Four Roses, opening several expressions of these bourbons and telling the stories of this Heritage brand. Reservations are required for the tasting event. ​Consumer Whiskey event at Julio's Liquors with dinners, seminars and tastings. Featuring Four Roses Bourbons, Slow & Low Rock n' Rye, Jos. A Magnus Bourbons, Lock Stock & Barrel Ryes and Copper & Kings American Craft Brandies! Armsby Abbey sure does love its bourbon, especially the smooth, high rye variety produced by Four Roses. They'll be cooking up some delicious brunch items featuring an all Four Roses Bourbon menu! Consumer tasting featuring Clement Select Barrel Rhum! Consumer tasting featuring Hochstadter's Slow & Low! 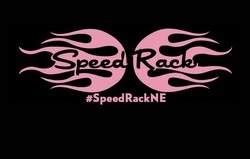 Speed Rack, the all-female speed-bartending competition. Serious stirring and shaking is about to happen, thanks to the return of Speed Rack, the all-female speed-bartending competition that raises money for breast cancer. Back in Boston again for the epic battle for the title of Miss Speed Rack New England on Sunday, as these tough babes duke it. Entry allows sampling our generous sponsors punches and tasty food from great local eateries! Featuring Punch and bourbon tasting station from Platinum Sponsor Four Roses Bourbon! This is a Trade Only tasting. Visit our Four Roses Bourbon and Clement Rhums & Liqueurs tables. Join us at the Hochstadter's Rye Whiskies table! Cape Wine & Spirits Trade Tasting at Chatham Bars Inn. This is a Trade Only tasting. Visit our Rhum J.M table for the finest Rhum Agricole! David Bowler Wines 16th annual Spring Portfolio Tasting at the Metropolitan Pavilion. This is a Trade Only tasting. Visit our Bertha's Irish Gin table for the finest, most unique Gin to hit the market in years! Consumer and Trade Spirits event at Mohegan Sun Casino. Sun Whiskey Union promises to be a special festival for Whiskey lovers. Guests will be able to try new and old favorites of whiskey, scotch, bourbon and rye. Craft batch cocktails for those looking for something a little different will be available as well. 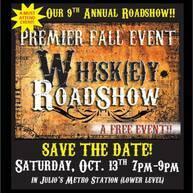 Experts from many of the distilleries will be on hand to discuss their style of whiskey and other libations! Featuring Four Roses Bourbon and Hochstadter's Slow & Low Rock n' Rye! Stay tuned as we finalize all our sponsorships! Thirst Boston is a celebration of the diverse beverage community of Boston. Stay tuned as we finalize all our great events! 5th Triennial Trade Tasting Event at the Metropolitan Pavilion. This is a Trade Only tasting. Visit our Roots Spirits and Merlet Cognac & Liqueur tables. 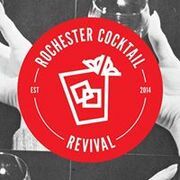 Rochester Cocktail Revival is back for year six! All things spirited and all for charity. GinRummy Tasting Event is back! Visit our Gin and Rum tables with Rhum Clement, Bounty, Chairman's Reserve, Grand Ten Distillery, Copper & Kings, Silent Pool and Bertha's Revenge. We will also be featuring cocktail samples with Chareau Aloe Liqueur too! Join us for a unique and memorable experience that is full of spice, fun, rum and food. Visit our House of Rum tables with Bounty Rum, Rhum Clement, Rhum JM and Chairman's Reserve rums. Ohana is the GREATEST, most action filled, fun, value-packed, biggest little event in tiki. It’s a three day charity event, held at the historical Tiki Resort in idyllic Lake George, NY. So, what should you expect if you decide to join us? FUN, friendship, classic cocktails (mixed RIGHT! ), live music, DJs, contests, vendors, auctions, prizes, freebies, food and a live Polynesian show!! 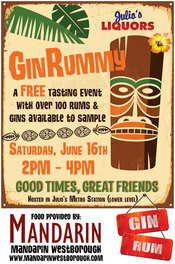 Rhum Clement will be there to again this year for the best Mai Tai's and Donga Punches to be found anywhere! It’s not a party without tequila and the festivities get underway on July 28th at Sun Tequila Tasting! DJ Tom Macari mixes the beats while you hit the mixology and margarita bars, sample an array of tequilas and savor the memories with our fun photo booth. The fiesta wouldn’t be complete without Mexican-themed favorites like tacos, guacamole and more to complement your cocktails! 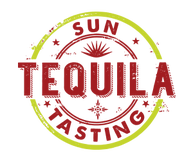 Featuring Tanteo Infused Tequilas along with Ilegal Mezcals! The 4th Annual Four Roses Cocktail competition at Oak Haven Table & Bar. Join eight of Connecticut's best bartenders as they create their most delicious Four Roses Bourbon cocktails. 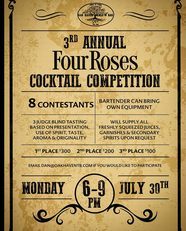 Three judges will debate and declare the winner all the while you'll be enjoying featured Four Roses Bourbon cocktails and bourbon tasting station! Lot's of swag too! Fall Trade Tasting at the Delamar Hotel. This is a Trade Only tasting. Visit our Inspired Beverage tables for the finest craft spirits from Four Roses Bourbon, Merlet Cognacs & Liqueurs, and Rhum Clement. MS Walker-Rhode Island 2019 Fall Fine Wine & Spirits Experience at the Omni Hotel. This is a Trade Only tasting. Visit our Inspired Beverage tables for the finest craft spirits from Copper & Kings Brandy, Chareau Aloe Liqueur, Chairman's Rum & Rhum J.M. Visit the Inspired Beverage booths for the finest spirits from Tanteo Infused Tequilas, Pisco Porton, Ilegal Mezcal, Bounty Rum, Crème Yvette and Slow & Low Rock n' Rye. Consumer and Trade Whiskey event at Twin River Casino. Featuring the Four Roses Bourbon Lounge! Fall Trade Tasting at the Seaport Hotel. This is a Trade Only tasting. Visit our Four Roses Bourbon, Chairman's Rum, Copper & Kings Brandy, Chareau Aloe Liqueur & Ilegal Mezcal tables. Fall Trade Tasting at the Carousel Pavilion at Lighthouse Park. This is a Trade Only tasting. Visit our Roots table for the finest Mastiha, Rakomelo, Tentura and Diktamo Greek Liqueurs! Fall Trade Tasting at the Metropolitan Pavilion. This is a Trade Only tasting. Visit our Chareau Aloe Liqueur table for the finest, most unique Liqueur to hit the market in years! Join Four Roses Bourbon, Copper & Kings Brandy in raising a glass to make wishes come true for seriously ill children. 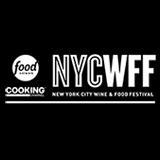 NYCWFF is considered the largest food and wine festival in New York City! With more than 100 events, we are widely recognized for tastings in celebration of America’s favorite foods, intimate dinners with world-renowned chefs, late night parties, educational seminars, coveted tastings and more. Join Four Roses Bourbon at Signature Roof Top events and the Grand Tastings! The 10th Annual Whiskey Road Show consumer tasting featuring Four Roses Bourbon, Slow & Low Rye, Magnus Bourbon and many more! Consumer Whiskey event at Hartford Country Club. Sample over 200 different Bourbons, Scotches, Whiskies and barrel aged products from around the world. Now offering a premium selection of cigars to sample! Enjoy delicious catered food and enter an exciting raffle with premium whiskey prizes. Be sure to visit our Four Roses Bourbon booth! An evening of taste and distinction with over 300 premium spirits for tasting. Visit the Inspired Beverage booths for the finest spirits from Rhum Clement, Tanteo Infused Tequilas, Lock Stock & Barrel rye, Slow & Low Rock n' Rye, Copper & Kings Brandies and Four Roses Bourbon! Consumer tasting featuring a selection of our Store Selected Single Barrels at each of the Liquor Depots, and enter an exciting raffle with premium whiskey prizes. Be sure to visit our Four Roses Bourbon table!